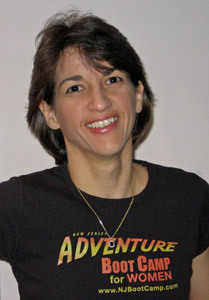 Shari Sperandio has been a fitness enthusiast all her life. She has enjoyed a variety of team sports, as well as running, cycling and strength training. Shari is a NESTA Certified Personal Trainer and Biomechanics Specialist, a Certified EZ8 Running Coach, and is currently pursuing a specialized certification in Core Conditioning – she is certified in First Aid and CPR. She gained her experience in group education as a motorcycle safety instructor. Shari’s formal education includes an AAS in Mechanical Engineering, and a BA in Liberal Arts from Centenary College, Hackettstown. 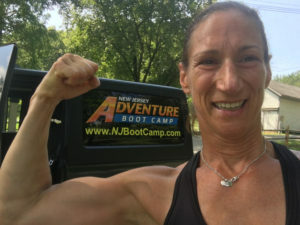 Stephanie Abrusia has been involved with fitness training for over 10 years and during that time has accrued certifications from major organizations within the industry such as NASM, AAHFP as well as ACE and NESTA. She participates in a number of local races and events and earned a 2nd place finish in The Ultimate Fitness Challenge and 2001 ITC Triathlon. In conjunction with fitness training Stephanie is also a Connective Tissue Therapist specializing in injury prevention, pain relief and postural restoration and has been in practice for 7 years. Each week, over one million people around the world enjoy a fitness program created by John Spencer Ellis. His fitness programs are implemented in the top resorts, spas and health clubs. John is the President of NESTA (National Exercise & Sports Trainers Association) and the Spencer Institute for Life Coaching. These two professional associations have 45,000 members in 30 countries. John is on the Advisory Boards of the National Health, Wellness and Prevention Congress, Exercise TV, Conference for Healthy Living, Irvine Valley College, Get America Fit Foundation, and is a Fellow of the National Board of Fitness Examiners. He is the author of”How Badly Do You Want It? 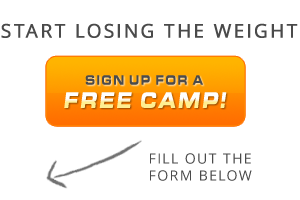 – Your Ultimate Guide to Optimal Fitness,” and a contributor to “Power of Champions.” He created Adventure Boot Camp, the largest fitness boot camp program in the world. His signature series of outdoor fitness equipment is used in communities worldwide. John has been featured or quoted in every major fitness publication, and held the post of Fitness Editor for OC Flair magazine. John has been featured on NBC, CBS, PBS, SPIKE, ESPN & Bravo. He serves as an on-air expert for Life & Leisure Television and Health Journal Television with General Norman Schwarzkopf. 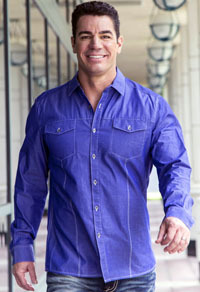 He is the producer and host of The OC Body on The Healthy Living Channel. John is a Nautilus sponsored athlete and stars in the workout DVDs Playground Boot Camp™ & Kung-Fu Fitness™. John created the fitness program used by the U.S. Secret Service and he consults the UFC (Ultimate Fighting Championships). John has been continuing his professional education since 1987, and holds bachelors degrees in business and health science, an MBA, and a doctorate in education. He is currently completing a second doctorate in naturopathy. He has fifteen certifications including massage therapy, plyometrics, self-defense, fitness kick boxing, fitness boxing, water fitness, exercise rehabilitation, golf conditioning, Pilates, personal training, clinical hypnotherapy, sports hypnosis, PACE circuit training and yoga. He holds a 2nd degree black belt in kung-fu, has completed the Ironman triathlon, and finished 5th at the U.S. National Biathlon Championships. His medical training includes a license in radiological technology, a medical assisting certification, and training in McKenzie rehabilitation. John was nominated for the California Community College Distinguished Alumni Award. Kelli Calabrese, MS, CSCS is the 2007 Denton County Personal Trainer of the Year and 2004 Personal Trainer of the Year as voted by Personal Fitness Professional Magazine. Kelli is an international presenter, author, personal trainer, lifestyle coach, spokesperson, women’s fitness expert and 21 year wellness professional. Kelli is the Editor of Personal Fitness Professional and Wellness & Fitness Entrepreneur magazines. She is the Author of Feminine, Firm & Fit – Building A Lean Strong Body in 12 Weeks. She was the lead fitness expert for eDiets and eFitness from 2000 – 2003 and remains a guest columnist. At the age of 22 Kelli had completed 3 Science degrees including an Associates in Biology, Bachelors with High Honors in Exercise Physiology and a Masters in Clinical Exercise Physiology and Cardiac Rehabilitation. Since 1986, Kelli has acquired 23 fitness, nutrition, weight management and lifestyle consulting certifications. For 14 years she co-owned and operated a chain of 4 fitness centers (Excellence in Exercise) and managed 4 corporate centers with clients such as Calvin Klein Cosmetics, Nabisco and Beneficial Insurance. In 1991 Calabrese opened Xercise Institute, the first school for preparing candidates for the American Council on Exercise’s Personal Training exams. In 2000, Kelli began Calabrese Fitness Consulting LLC which focuses on reaching both trainers and consumers with her passion for fitness and wellness. She helps trainers grow prosperous careers through the, personal consultations, writing, editing, audio programs and at industry conferences. She reaches consumers through online training , phone coaching , magazines, TV, radio, audio programs , group training, books, Adventure Boot Camp , ipod workouts and live seminars. She is on the advisory board for Purdue University, the Get America Fit Foundation, Exercise TV, Healthy Kids Catalog, The Body Mechanic, My Nutrition Store, Beauty & Lace and the Personal Trainer Business Association( www.PTBAonline.com ) Kelli ‘s clothing is sponsored by Persona and her skin care is sponsored by Motion Medica. 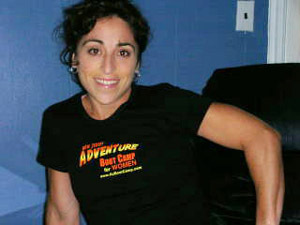 Kelli is the International Master Trainer for Adventure Boot Camp and prepares qualified candidates to become Adventure Boot Camp Coaches. Calabrese has been a spokesperson, consultant, advisor or expert for clients such as The American Council on Exercise, NESTA (National Exercise & Sports Training Association), the National Board of Fitness Examiners, Athletic Baby, The Aerobic & Fitness Association of America, National Board of Fitness Examiners, Smuckers, Kellogg, Glaxo Smith Klein, The Watermelon Council and Quaker Oats. Kelli is available for spokesperson and media opportunities internationally, as well as personal training and grocery shopping tours on a limited basis in the Dallas area. Kelli ‘s personal mission is to empower individuals with the tools to make health, fitness and wellness a permanent and enjoyable part of their lives.